/ Home / What's on / Energy from waves - a free ride? and Bass - what do they get up to? Energy from waves - a free ride? and Bass - what do they get up to? The Wembury Marine Centre invite you to two talks given by University of Plymouth researchers. 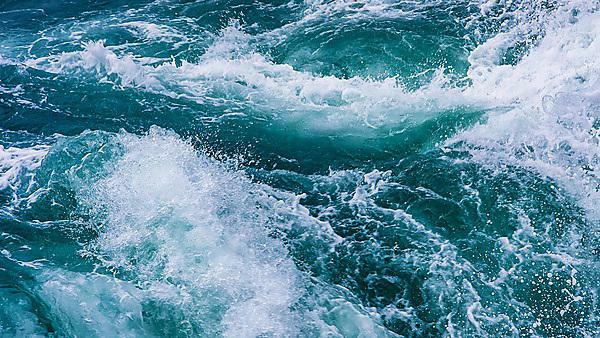 Amy Cartwright of the Sheehan Research Group at the University of Plymouth will give a talk on 'Assessing ecological responses to wave energy developments to inform future management'. Offshore marine renewable energy installations (MREI) introduce structure into the marine environment and can locally exclude destructive, bottom trawl fishing. These effects have the potential to aid restoration of degraded seabed habitats but may be constrained by timescales of ecological succession following MREI construction, and the removal of infrastructure during decommissioning. Amy will highlight the research work undertaken at Wave Hub, Cornwall as part of Clean Energy from Ocean Waves (CEFOW), an Horizon 2020 project in which the team at the University are testing the cumulative ecological impact of an array of wave energy converters (WECs) in the first project of its kind in the UK. The results of the team’s work on ecological responses to marine renewable infrastructure will be used to inform future management of these installations so that their ecological potential can be maximised. Tom is doing a PhD at the University on European sea bass (Dicentrarchus labrax), and he will talk about IBASS. This project, led by the University and Devon and Severn Inshore Fisheries and Conservation Authority, aims to investigate how bass move and grow within Devon’s estuaries. The project involves tracking 146 individual bass within the Dart and Taw/Torridge estuaries and Salcombe Harbour with a technique called acoustic telemetry. This is combined with data obtained from each fish’s scales, which can tell us both the age of each fish and how they grow in different regions of Devon. From the project we hope to learn more about how bass use estuaries, which could help inform local management of the species. This event is free to attend but you can contribute to the Wembury MCA Advisory Group which helps fund the educational resources of the Wembury Marine Centre (suggested £2 donation). Visit the Eventbrite webpage for further information and to register your place or email John Hepburn (mewstone.enterprises@gmail.com) for queries. The Wembury Marine Centre is managed by a partnership of Devon County Council, the Devon Wildlife Trust, the University of Plymouth Marine Institute, South Hams District Council and the National Trust, with support from Wembury Parish Council and with guidance from the Advisory Group of the Wembury Marine Conservation Area.